Our product range includes a wide range of special purpose gears for hardware, fiber gears, double gears, gear with profile in hole, motor gears and machined plastic gears. We make gears for hardware applications like gears for automatic locking. 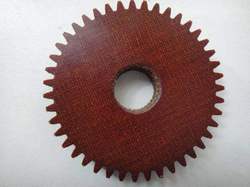 We offer an impeccable range of precisely designed Fiber Gears. The offered automotive gears are designed by using premium quality material and advanced tools in accordance with set market norms. These automotive gears are properly examined on various stages by trained quality controllers for assuring its flawlessness from our side. 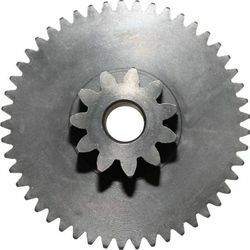 With immense industrial experience and expertise, we are offering a wide range of Double Gears. With highly driven technical excellence, we have been able to offer a wide assortment of Mini Gears. The offered mini gears are developed by our practiced designers utilizing top quality material under the observation of accomplished professionals and the modern technology to make certain flawless at the users' end. The offered mini gears are made accessible in diverse stipulations according to the application requirements of the customers. In addition to this, our clients can avail these mini gears from us within the stipulated time-frame. With the assistance of our dedicated professionals, we are deeply engrossed in offering a wide range of Motor Gears. The provided motor gears are developed with the aid of supreme quality material and leading technology in accordance with predefined industrial norms. We are manufacturing Machined Plastic Gears as per customer requirements. 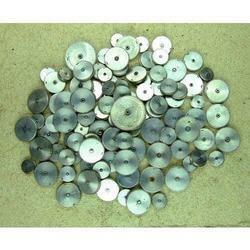 These are especially useful as one can make trials before making dies and mould.